Thank goodness for inflatable rental companies! Renting an inflatable for a special event is an easy, surefire way to ramp up the fun-factor and draw in crowds. 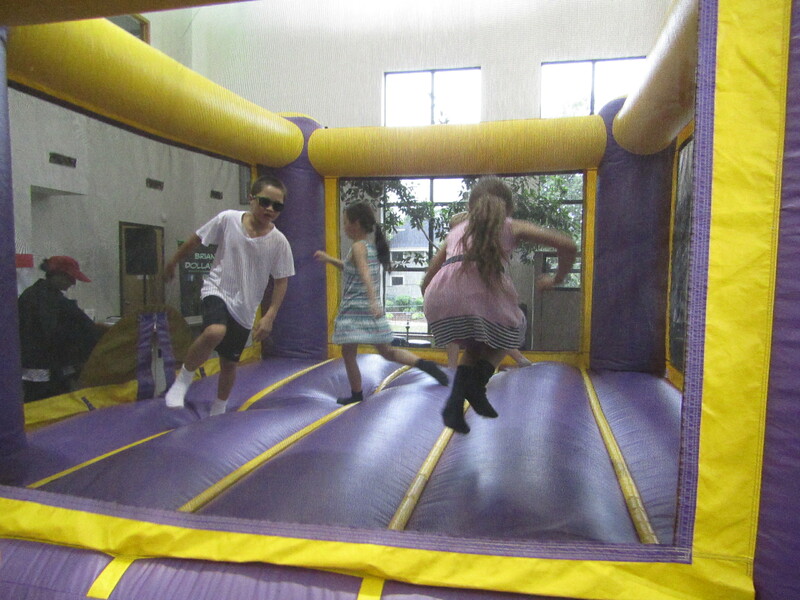 At H&K Insurance’s recent Open House (pictured), an inflatable “bounce house” was the perfect attraction to bring in families, and played a key role in ensuring a successful and memorable day. An open house is just one example. An inflatable is a common sight at any given special event or childrens’ birthday party. More often than not, kids will play hard, tire out, and leave the inflatable unharmed. However, what if something was to go wrong? What if an accident occurs, whether through poor installation or an act of nature, and there is an injury? Think about what implications that may have for your business. It’s all fun and games until someone gets hurt, would your business be prepared to handle the fall out? Here are 3 reasons why your commercial rental business needs to make sure they have liability coverage. A liability waiver does not cover your business completely. You will need proper liability insurance coverage to protect your business from expenses resulting from legal defense and settlement costs, and from losing your assets in a lawsuit. Having liability insurance coverage for your inflatable guarantees you can serve a wide range of clients and settings- parks, recreation centers, and other large event locations. Without it, you are limited to servicing small events. Think big! If you rent to an individual and an accident occurs, they may first look to their homeowner’s insurance to cover the damage. Unfortunately, their homeowner’s insurance may not be of much help if the incident was due to improper installation from a company that lacks valid commercial liability insurance. The rentee will then come to you with their hand out- how much are you willing to give away? For more information on liability insurance coverage, please feel free to contact Paul Perry at 617-612-6520.